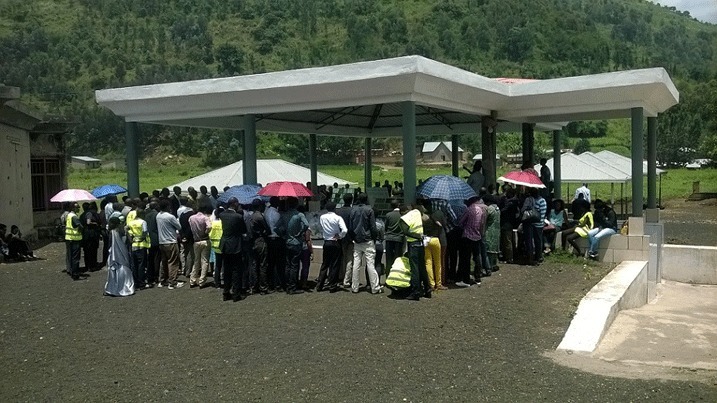 Mourners gather at a memorial site near the infamous Commune Rouge where thousands of Tutsi were killed including late Sister Niyitegeka. Twenty three years ago in every corner of Rwanda, Interahamwe militia had one mission – to locate and kill any Tutsi by all means possible. With death looming everywhere, a little known nun Sister Félicité Niyitegeka in charge of Centre Saint Pierre in Gisenyi town, Western Province, was busy helping Tutsi escape across Lake Kivu. The Suspicious Interahamwe raided Centre Saint Pierre and searched for Tutsi that had been attending training sessions at the facility. However, Sister Niyitegeka largely known for her big heart, had earlier learned of intentions by militia to attack the centre. She immediately advised those at risk (Tutsi) to remain for safety. Many Tutsi ran from nearby villages and hid at the centre from where Niyitegeka helped them escape at night via Lake Kivu into neighbouring Democratic Republic of Congo (DRC). When Niyitegeka’s brother at a rank of Colonel in the government military heard of her actions of helping Tutsi escape, he dispatched escorts at the centre to inform his sister to escape because she was going to be killed. But Niyitegeka was determined – rejecting her brother’s warning. The unit of soldiers sent to protect her were shocked by response of the Colonel’s sister. At the time she was responding to her brother’s escorts, 43 Tutsi were sheltered inside the Centre Saint Pierre. However, Sister Niyitegeka realised that the soldiers would not return a verbal message back to the Colonel – she decided to write a small note to her brother. In his book; ‘Christianity and the African Imagination’ by Aylward Shorter – a member of the missionaries of Africa, he published Sister Niyitegeka’s letter to her brother. Thank you for wanting to help me. I would rather die than abandoning the forty-three persons for whom I am responsible. Pray for us, that we may come to God. Say ‘goodbye’ to our old mother and our brother. When I come to God, I shall pray for you. Keep well. Thank you for thinking of me. If God saves us, as we hope, we shall see each other tomorrow. That was Sister Niyitegeka’s last word to a family member. Immediately after his brother’s escorts left the Centre, Interahamwe attacked Niyitegeka and her sheltered people. She was killed along with many of them – only two people survived. Why are all heroes from war? For the past 23 years, the body of Sister Niyitegeka has not been found among thousands of remains of victims discovered after the infamous ‘Commune rouge’ massacre in Rubavu district. In an exclusive interview with KT Press, Deo Nkusi, Executive Secretary of Chancellery for Heroes, National Orders and Decorations of Honour (Cheno), the search for late Sister Félicité Niyitegeka’s remains is underway. 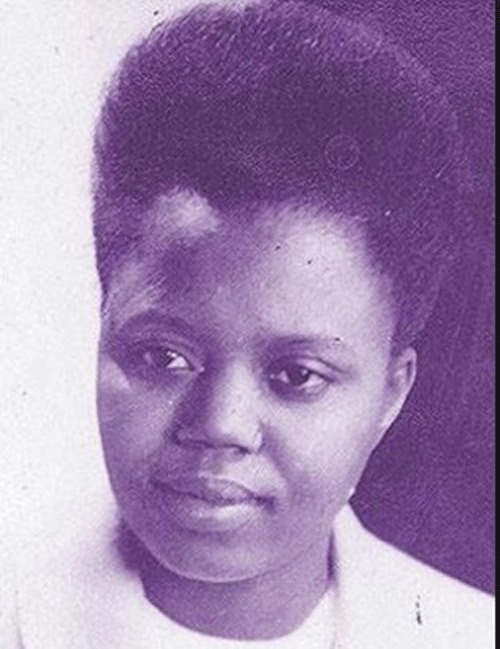 The late Sister Niyitegeka has been honoured among national heroes. She was categorized under ‘Imena’ Heroes’. She is among several national heroes celebrated every year on February 1. On every Heroes Day celebrations, Rwandans admire national heroes. But who are these heroes? What does it take to be a hero? Many believe Rwandan heroes are only those who sacrificed their lives while at the frontline to liberate Rwanda. As many have seen in recent Heroes’ Day celebrations, there are other heroes who never held a gun to liberate Rwanda in the 1994, but are still regarded as heroes. According to Deo Nkusi, someone is regarded as hero before even doing extra-ordinary things. A hero is the one who expresses ‘exceptional love’ among others in society – the one who easily sacrifices his or her life to save others. “A hero is always distinguished among others during hard times. One cannot just cross a road and be regarded a hero,” Nkusi told KT Press. There are three categories of Rwandan Heroes including; Imanzi (First category) Imena (second category) and Ingenzi (third category). Any benefits given to Heroes? According to Nkusi, “When someone is honoured as a hero, it doesn’t mean this recognition goes with material gifts. The first and most privilege such a person holds in society is respect and honour as a hero,” he told KT Press. There is no special treatment accorded to heroes, apart from national honours and recognition. “A Hero is any person that pursues objectives he / she undertakes to obtain a special achievement for public interest and with high proven integrity, sacrifice and noble courage in his / her acts and isn’t a coward in his / her actions in very trying situations,” Nkusi says. Historically though, Nkusi admitted, people regarded as heroes were rewarded with cattle and land. The first category was ‘Gucana uruti’ or ‘burning of the javelin’. This is a ceremony where the greatest warrior, a true national hero, was honoured for having killed twenty-one enemies in combat under specific guidelines. Historically, the ceremony was held on the highest mountain near where the warrior lived. The second category was ‘Impotore’, bestowed on those members of the Royal Guard who had performed heroic deeds before the enemy, killing at least seven enemies. The third honour was Umudende – a necklace of iron, from which hang small bells in even numbers: 2, 4 or 6, at chest height. This was awarded to a warrior who killed his 7th enemy. Rwandan Heroes reserve no special material assistance other than national recognition and honour. According to Nkusi, the advocacy include helping those crippled during the crisis get treatment while those in poor living conditions are helped to get basic materials like shelter. “For example, Kanombe Military Hospital offers free treatment to these Heroes while we provide other logistical assistance like their transport,” Nkusi told KT Press.